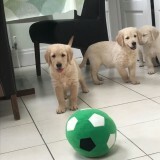 Our lovely KC registered Golden Retriever Stitch (Thea Boo) has had a beautiful litter of puppies. 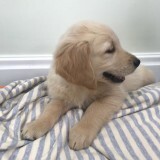 This was a much awaited litter as we have kept a puppy to join our family. 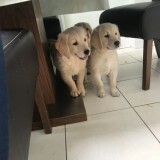 Mum is our beautiful Golden Retriever Stitch who we have had since 8 weeks old and she has been a credit to our family. Mum will be here to be seen with her pups in our home. Stitch has a wonderful temperament, she is very loving and is of a soft nature, a trait of this breed. She is very sociable with other dogs and is good with people of all ages, including children. 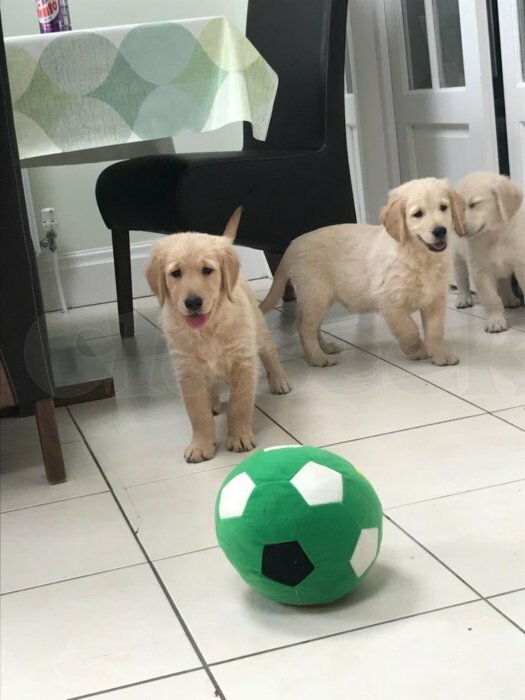 Our litter of puppies were raised here in a loving home environment and all puppies were well socialised with all the daily hustle and bustle of everyday life. As well being used to growing up with our two friendly cats. All of our puppies have found new homes but we have one little girl remaining. 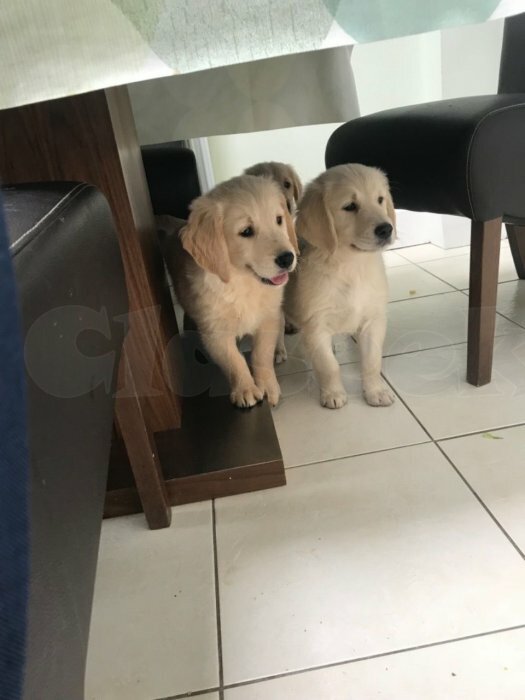 We have remained in contact with owners of all of the puppies in the litter, and are on hand to help with questions at any time. Both parents are KC registered and have excellent bloodlines in their 5 generation pedigrees. 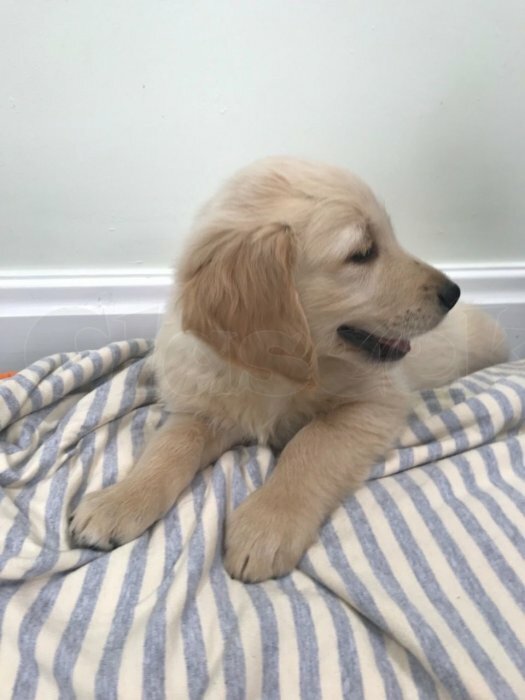 Both Mum and Dad (Fenwood Beaujolais Gaytonwood) have excellent health checks including good hip scores and clear eye tests, Dad also has an excellent elbow score. Our puppy is KC registered, wormed, micro chipped, vet checked, and had her first vaccination; and she must go to a very special loving home. She will leave us with a Puppy Pack consisting of a blanket smelling of Mum to help ease the move, her KC paperwork, favourite toy and high quality puppy food. 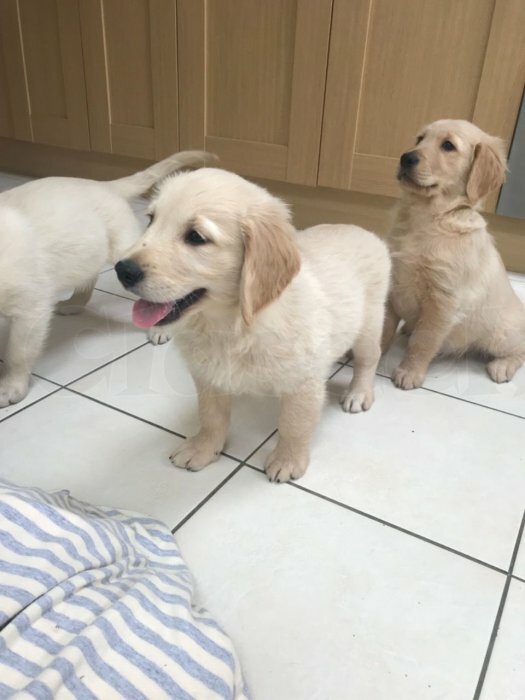 We offer help and advice on all aspects of raising your Golden Retriever puppy and would love to keep in touch for family reunions!